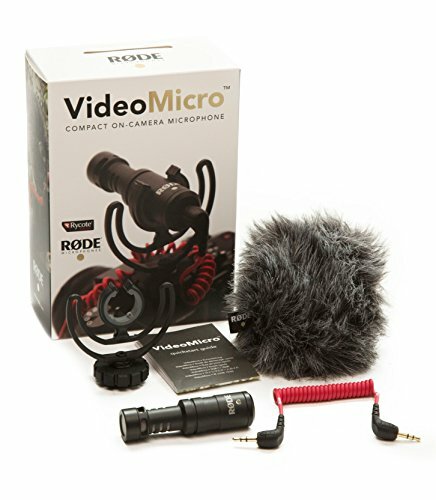 The RØDE VideoMicro is probably the best bang for your buck when it comes to improving the audio of your camera. It's definitely a huge improvement over the onboard microphone of most, if not all, cameras and camcorders. The microphone itself is super portable, does not require any external power, and comes in at around $70. Let me start this article off by saying, Glide Gear has been great in providing me products so I can bring coverage to my audience. 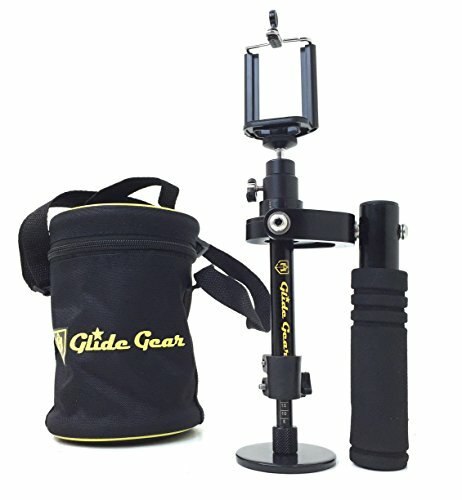 I also want to preface this by informing you that Glide Gear sent me out some of following equipment for review and some I purchased with my own hard earned cash. Even though this equipment was provided to me, I still maintain the objective reviewer stance and pointed out some flaws that effected my workflow, but most if not all of those flaws were due to my lack of inexperience using stabilization equipment. Let's start off by talking about camera sliders - 23.5-inch sliders to be exact. Glide Gear makes two very appealing products here. The DEV-235 was the beginning of my sliding experience and it helped me vastly improve my content quality. Up until now, I was recommending the DEV-235 to those that were asking the question: "I have a very limited budget, what slider would you recommend I get?" The answer to that was always the DEV-235. 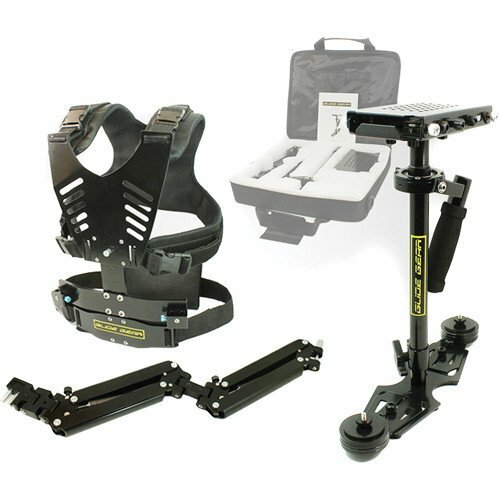 The DEV-235 is a solid starter kit for any beginning content creator and will definitely exceed your expectations based on the price, but Glide Gear has been busy making awesomeness in the slider department, which has changed my recommendation of sliding options for those of you on a strict or tight budget. 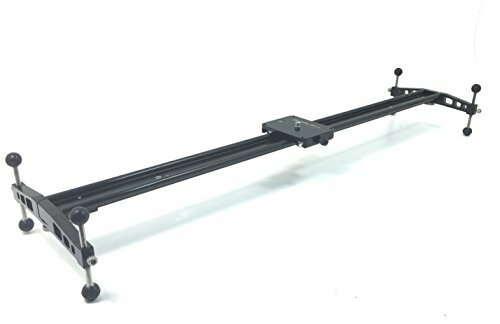 Glide Gear introduced the Cobra 235 camera slider that functions on four ball bearings for smoother sliding action and is only about $10 (USD) more that the DEV-235. This is an amazing development in the world of budget sliders. The Cobra 235 is an amazing piece of work and it functions very well, providing you very smooth sliding actions in a plethora of shooting environments. Both the Cobra 235 and DEV-235 are very portable and easy to carry around. Again, my recommendation has changed. 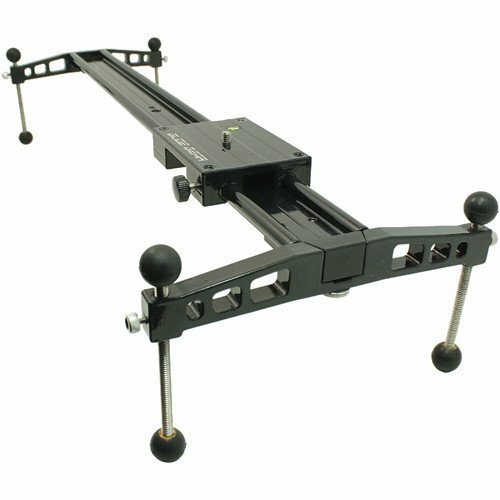 If you're in the market for a camera slider and are on a budget, the Cobra 235 is a must have. Let's move onto stabilization. An area in which I am still horrible at capturing footage, but will say with time and practice I have improved my skills. The big boy, more appropriately known as the DNA-5050, is Glide Gear's monster stabilizer which allows you to attached pretty hefty camera systems and start flying! That is until your arms have had it, good thing Glide Gear makes a vest strap to help you improve your shots. 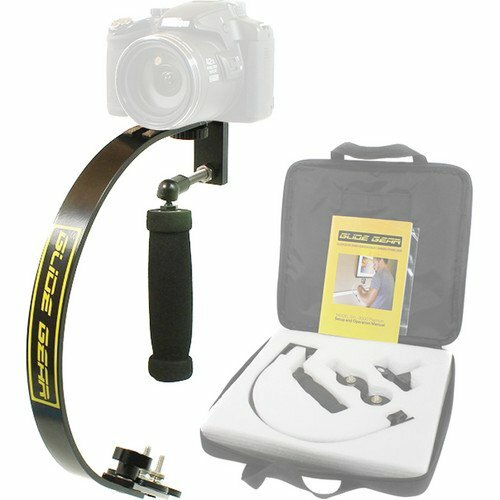 On a more affordable note, the SYL-3000 is a great way to get started into the world of stabilization. 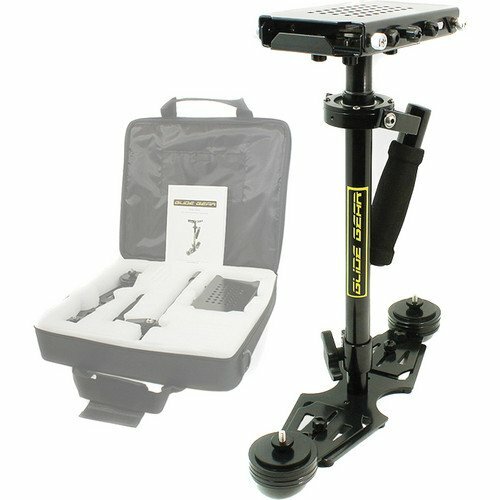 I really learned a ton on this stabilizer and it's only about $90, so you won't break the bank trying to learn how to fly with your camera. Bringing up the third and last spot on camera stabilization is Glide Gear's Cellfie system - better known as the CYL-100. This is and even more portable and probably most practical for the everyday smartphone videographer. The Cellfie is a smartphone/GoPro stabilization system that is easy to set up and use right away, just make sure you follow the included setup instructions. Before we bring this article to a close, let's talk about portable jibs. Yeah Glide Gear makes those too and they're super affordable. The JB-4 is an awesome piece of equipment that will open a ton more creative doors when it comes to creating breath taking shots. 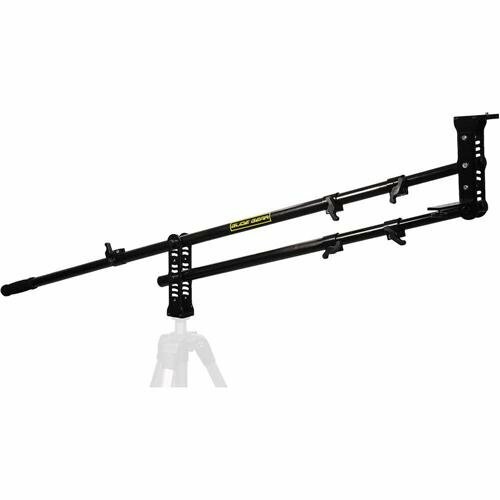 The 4-foot, telescoping camera jib is really a piece of art for two main reasons: 1) It's built like a tank and 2) it's super affordable; coming in at around $190. If you have any other camera equipment recommendations, please feel free to drop me a comment down below. For those of you that own and have used Glide Gear in the past or are currently, I'd also love to hear some of your experiences with their products. Shoot me a comment! A UPS (not the folks in the brown clothes) is a vital element to a workstation. Uninterruptible power supplies are probably the most ignored element in most setups. UPSs are something that could save you the heartache of having to restart a very important project, or worse... Save you from having to replace thousands of dollars of equipment. CyberPower makes a very affordable UPS - the 1350VA is one of CyberPower's most affordable and best selling UPSs. Coming in at around $140 USD, it's pretty much a no brainer to include one of these into your setup. UPS will protect all of your important equipment during less than desirable electrical situations. UPS will save you from projects becoming corrupted in the event of a power failure. UPS is affordable and is easily implemented into any setup. Finally, don't get caught having to rework a project you spent hours of time on. Modern productivity applications have failsafes built in, but they don't always work - so don't risk it! Avoid having to replace thousands of dollars of equipment due to electrical damage, UPSs provide next level surge protection. It's much easier to replace a $140 UPS then it is a $4500 Mac Pro. Wouldn't you agree? Thanks to a helpful tip from Carlos Delgado (aka @mobilecarlos) and a article listed on www.nofilmschool.com I found out about Panasonic's new iteration of budget friendly 4K cameras. The G7 features a Mirrorless, Micro Four Thirds sensor/mount. I got really excited to see this camera features interchangeable lenses at a whooping $800. I know what you're thinking... "That's just the price of the body." Nope! That $800 price tag is with a 14-42mm lens included. Some of the highlight features are a 16MP sensor, shoots 4K video internally, articulating touch screen, interchangeable lenses, and portability. Seems like Panasonic is really going hard to target the market of consumers like myself. Prosumer photographers and videographer will definitely appreciate this competition for their hard-earned money. Competition between manufactures mean that consumers win big! Even though it looks like Panasonic is competing with itself at this point. Canon where you at!?!? Oh wait, it doesn't matter I'm a Panasonic fanboy now! The G7 is a fantastic entry level YouTuber camera and is an excellent secondary for those looking to get into making their workflows more efficient and/or dabble in making more creative content. For a full list of specs see Panasonic's specifications page HERE. It's a beautiful camera and I would definitely consider it over the FZ1000. If anything, I look forward to it driving down the cost of the FZ1000 as well, making entering the world of 4K cheaper than ever. The DMC-G7 looks to be no slouch, even at the crazy price Panasonic is offering it at. The G7 should be available at the end of June 2015.